Darling Nova’s cast of characters includes a freak, mystics, lost kings, sluts, death, imperfect mothers, God, oddballs, weirdos, poor lovers, the bogeyman, eccentrics, villains, and witches. As with any good fairy tale or myth or life, these poems are haunted: a lost pregnancy, her father’s life and death, the father’s childhood friend who abused animals, a drowned Syrian refugee toddler, a lightning-struck all-American football player, and a friend who died by suicide. 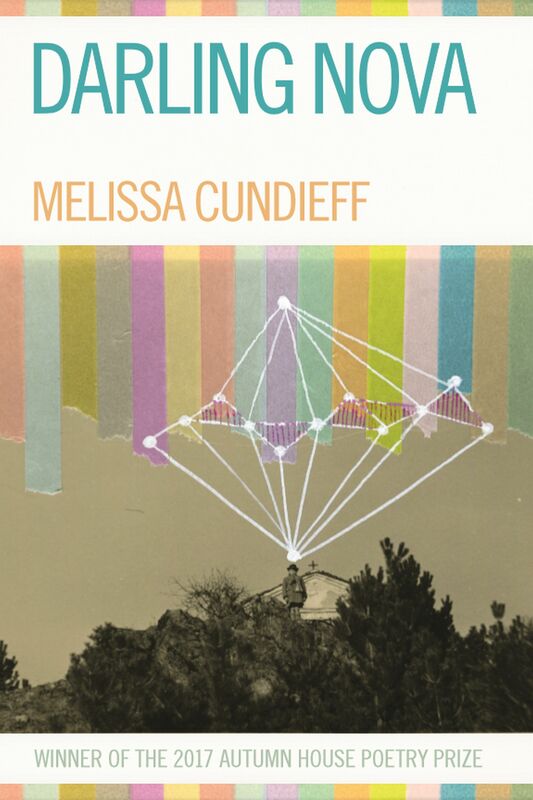 Cundieff has a talent for characterization that neither sugars nor salts, letting complex relationships shine. On the shelves of these poems are the shards, bits, blood, and relics that power priests, fairies, and physicists alike. The speaker is a conjuror, a witch, an oracle, a mystic, and a priestess. In “Rebirth” she comes back as a bird; in “West,” Cundieff writes: “this time I am dead, I died a year ago, and it’s only my afterimage/ positioned in the passenger seat.” As befitting those titles, the poems are also full of stark wisdom, like “The risk of remembering is guilt, my friends” and “The headstone names around us/ fooled you into thinking we weren’t so/ dangerously alone.” As in the Grimms’ fairy tales, there is reality in the fantastic, and there is rawness and ugliness in magic. In “Fairy Tale” the speaker is a poor witch against two boys on the playground, “two oiled and ready beasts.” who know they can hurt her just as much as the archetypal wolf and bogeyman. The structure of the collection—one undivided string of poems—conveys how beginnings and endings are not opposite or divided; rather, they are moments that blend together in cycles and pass traits from one generation to another. The poems, like stars and memories, seem fixed, but they can be constellated differently by each reader, rebirth, generation, or mysticism. The side-by-side poems frequently link together explicitly—for example, the poem “Freak,” which begins with “Open his mouth for a word and it will be tooth,” is followed by the poem “Eyetooth,” and both poems beget a “previous life.” These clear but impressionistic connections whipstitch the collection together, although it is best to let go of both a conventional understanding of characters and the ubiquitous creative writing workshop question “What is their relationship to the speaker?” The labels, categories, and particulars of chronology and biology are not necessary here; only knowing that the characters are important to the speaker is essential. Darling Nova exists in the bardo, in the cycles we inhabit between life and death. It asks the most human questions that science and religion also try to answer—like how do we live well after pain, or with it? The collection answers with its own mythology, lore, testaments, and table of elements: worms represent growth and potential, air and sky represent emptiness and abandonment, tooth represents food and the physical world, words/language represent the connection of all living things, and leaves abound for grief. To these essential questions, the poems reply that there are not always satisfying answers, but there are ways of pushing through the cruelties of existence. There are incantations and relationships that will pull you through.